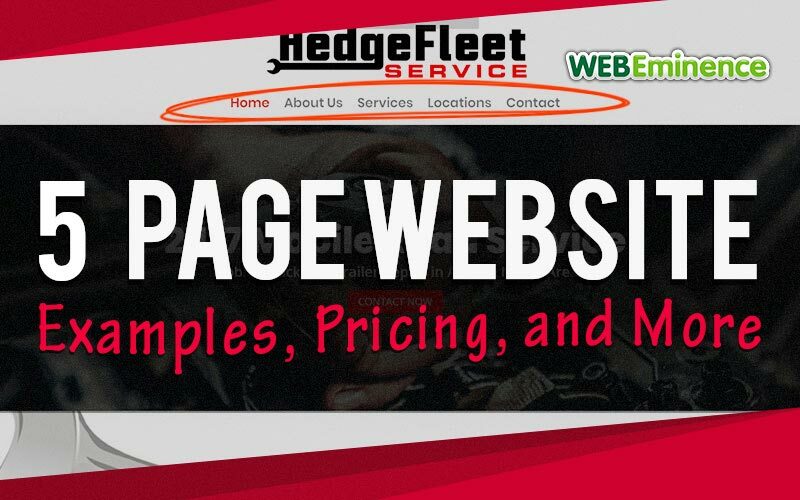 When investigating the need for a new 5 page website, many people focus on the number pages to determine the cost of the new site. And many people have no clue how many pages they need. If you landed on this page, you probably are pretty sure you need about 5 pages. What Is a 5 Page Website Exactly? When I hear that a new website prospect needs a 5 page website, it tells me that they are in need of a very simple informational website with the typical pages I’ll describe below like Home, About, Services, Contact, etc. This is usually enough for a small business to have a presence online, have some control over their reputation, and get a little traffic from search engines. This is in contrast to larger companies or website that need dynamic content, hundreds or thousands of pages, and more complex elements like e-commerce or member login. If you are looking for a simple five page website and you want an attractive design that is user-friendly for your visitors you may want to check out my Complete Website Package. 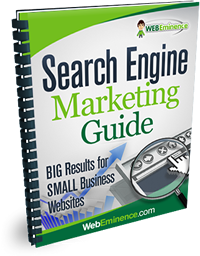 It’s a great option for business owners who want a basic informational website but don’t want to do all the work. What are the typical pages of a 5 Page Website? The Home page is the main page of the website and should communicate what your website or business is all about while linking to other important pages of the website. I like to build a tagline or slogan into the top of the page that gives a powerful summary statement above the fold so visitors know right away who the company is, what they do, and why. Many individuals and small businesses have an About page that gives an overview of the individual, company, or service that is represented on the website. It’s usually a good idea to have pictures to give a visual representation of the individual or business. I’n tracking the activity of visitors on my site and many other sites of clients, I’ve found the About page to be one of the most visited sites. Visitors want to know more about who they are dealing with! Blog Marketing Academy shared 7 Strategies for the Perfect About page here. A Products or Services page is typically used to communicate the products or services being sold or provided. Pretty straightforward. This is a critical page because it is a major decision point for the visitor where they will decide if the product or service being offered is a good fit for them. Some website owners who need to display a number of pictures may have a separate Pictures page to organize and display pictures in a gallery format. Check out my page on adding galleries in WordPress. A Testimonials or References page is a great way to increase confidence in your product or service being offered. On this page, you can share testimonials or references from previous customers and clients. Check out my other post on gathering and using website testimonials and start letting your customers SELL FOR YOU. For sites that generate a lot of questions, a Frequently Asked Questions page can be useful to answer the most common questions proactively. A Contact page is critical to let people know how they can get in touch with you. If you’re building a 5 page website, the chances are you’re only going to have room for the most common pages that usually appear on a small business website. In the video below, I go through the portfolio of sites that I’ve built to show you the top 7 most common pages that show up on the sites I build for small businesses. Even though you need to determine the number of pages your website will have, it’s even more important to think about functionality, content, and overall user experience. 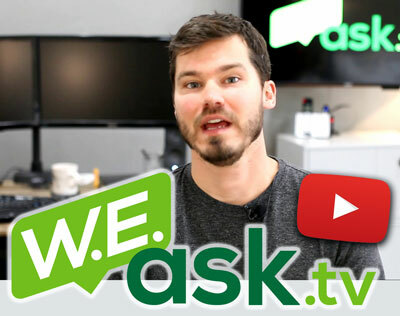 Does your website answer all the questions your visitors will have? I like to use the basic questions Who, What, Why, When, and How to do a quick audit on the website content to analyze if we’re answering all the questions website visitors will have. How much does a 5 Page Website cost? If you search the web for the cost of a website, you will find many different opinions and costs for a 5 page website. It really depends on the functionality and design you need. If you need a custom website design, you can usually expect to pay $500-$1,000+ for a site around 5 pages. “Custom” can mean different things in web design. Most web designs are built with premium themes that can be customized. You can also have a completely custom design built from scratch and then coded into a website. This will take more time and money and could easily be $2,500-$5,000 for a 5 page site. If you want to get a more exact idea of what your website will cost, you can submit the form on this page and I’ll give you an estimate. Regardless of the number of pages your site contains, My Complete Website Package uses professionally designed templates from Elegant Themes and my clients love the results and low cost. See my portfolio, example sites below and read testimonials here. I’ve built over 300 websites for small businesses since 2011 so I can definitely give examples of typical websites with about 5 pages. You can check out my portfolio for some recent websites that I created. 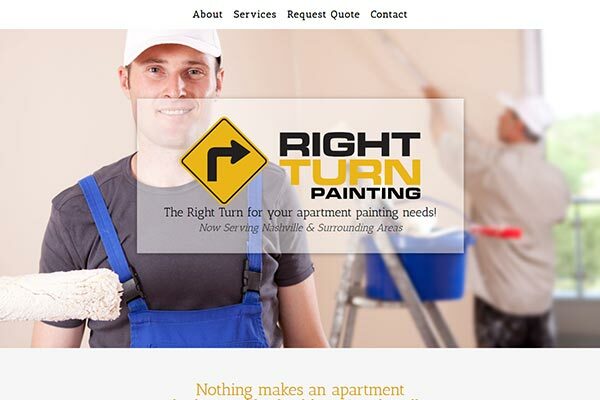 I created this website for a painting company in Tennessee. They just needed a basic 5 page site to feature their company and services. Their pages are Home, About, Services Request Quote, Contact. 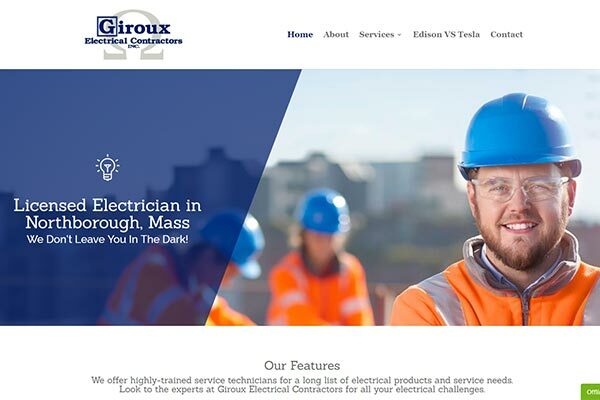 This contractor website for an electrician actually has 6 pages because we split the Services page into Commercial and Residential. It has other similar pages that are common on 5 pages websites including a special page for the industry called “Edison VS Tesla”. If you are an electrician or contractor, you might be interested in reading my post on construction websites. 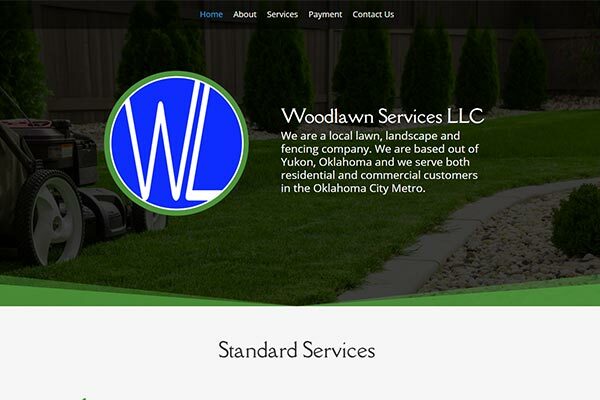 This landscape site I built has the standard pages of Home, About, Services, Contact Us and has one Payment page that actually just displays pricing and payment options. If you’re looking to build a website of about 5 pages, you probably don’t need to find a HTML template of exactly 5 pages. Web design isn’t really that restrictive anymore. Most website design themes and templates just give you the framework for the design and you can create as many designs as you want. Many premium themes will give you a layout for popular pages like About, Contact, etc and then just provide you with a basic layout to create whatever pages you want. This is true of DIY website builders like Weebly, Squarespace, and Wix. I cover these website builders on my website builder page. It’s also the case when building a site on WordPress using a premium theme. Every theme and framework is a little different but the theme I’ve been using for years is Divi by Elegant Themes. WIth Divi, you get some preset layouts for many different page types but you can also create pages using a blank layout and a drag and drop interface.